The Supply Chain Matters blog provides a reader update on a December 2018 indication that Apple’s primary contract services manufacturer will be shifting some production of current iPhone models to India. Both Airbus and Boeing formally reported Q1-2019 operational performance. The most anticipated was that of Boeing, which continues to respond to the global grounding of the manufacturer’s 737 MAX family of aircraft after two tragic accidents. Boeing’s Q1 performance indeed reflected the initial impacts on one of its most profitable aircraft families. The Supply Chain Matters blog features added perspectives on growing realities occurring across global trade regional landscapes. We advocate that global supply chain management is no longer a spectator sport, that teams have to be engaged deeply in advocating business strategies and customer support contingency plans and actions that manage global supply network risks. The Supply Chain Matters blog highlights reported PMI global production and supply chain activity levels for March and Q1-2019. There is now added evidence that global trade declines, particularly involving China and the Eurozone sector, are a continual drag on global industry supply chain activity levels. The Supply Chain Matters blog outlines an April Fools parody commentary related to prior April 1st 2019 milestones in global trade related to Brexit, and to the ongoing trade tensions among the United States and China. With the bulk of global manufacturing PMI indices now reported for February 2019, one is becoming very apparent is that China’s economic slowdown is having a discernable impact on other regions, perhaps far more accelerated that originally anticipated. A U.S. Justice Department ruling into allegations of price fixing among the globe’s largest container shipping lines has been dropped, with consequences for shippers and the industry. Global based supply chain management teams likely exhibited some relief this week regarding important postponements to global trade and tariff actions. Supply Chain Matters is of the view that this is just a pause, and that further diligence will be required. The Supply Chain Matters blog highlights 2018 full year financial and operational performance results from Airbus and Boeing. It is becoming ever clearer for both commercial aircraft aerospace manufacturers that individual supply network performance remains crucial in 2019 and beyond and will be the determinant of long-term goal attainment for investors, suppliers and customers. 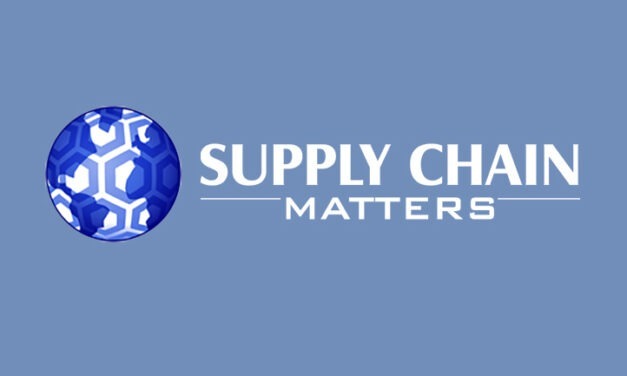 Supply Chain Matters focuses on commercial aerospace industry supply networks ever-growing and more challenging scale-up needs and more evidence of OEM and major supplier self-induced management strategies that introduce more weighting on short-term financial return needs defeat the ability for the industry’s overall ecosystems to scale to fulfill multiyear order backlogs.